Thinking of delving into the awesome world of historical fiction? Wondering what it takes to write in the genre that blends fact and fiction like no other? Have we got a guest post for you! Maybe like me you fall into the camp of a writer who was very much a reader first. I love the research for a novel – the hours spent poring over books, in archives deciphering spidery faded handwriting, in museums getting to grips with the physical details of a story (there is nothing like actually seeing the objects you are talking about). 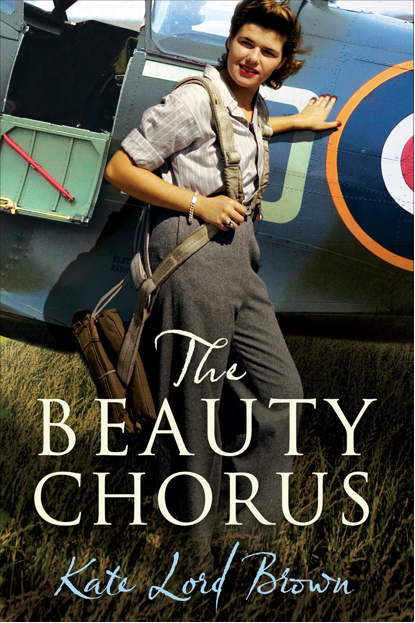 I started writing my debut novel ‘The Beauty Chorus’ in 2008, and had to put a limit on the research – I was having so much fun, the book wouldn’t have been written if I hadn’t given myself a deadline. The light bulb moment for the book came from a tiny obituary in a flying magazine (I’m married to a pilot). It talked about an incredible woman who had flown Spitfires during WW2. My immediate reaction was – wow, I didn’t know women flew fighter planes. Then: this would make a great story. Even though I have spent far too many hours on airfields, soaring over the British countryside in rickety planes that felt like a Mini with wings, I knew nothing about WW2 pilots. My background is in fine art – I studied art history – so I really was an old dog teaching myself a few new tricks with this one. I started from scratch, read every first hand account of the time I could – everything from diaries and memoirs written by the female pilots, to housewives’ journals from the time. I wanted to get the planes right (I’d never have been forgiven if there were any tech details wrong …), but I wanted the day to day details to be right too. I wanted to know what perfumes the girls wore, how they washed their clothes, what they would have cooked. It has been interesting hearing the reactions of the ‘real’ Air Transport Auxiliary girls who are now in their 90s. I’m just back from filming with one of them for UK TV – she still embodied the qualities of modesty, bravery and grace under pressure that I came to admire in these women so much. She had enjoyed the story, but I’m glad I did my research well because when she queried a couple of plot points, I could back up my fictional story and argue my case – they don’t pull any punches, these ‘girls’! ‘The Beauty Chorus’ weaves fact and fiction very closely. So you have real characters – like the famous aviator Amy Johnson, Churchill, the painter Stanley Spencer, and my fictional characters. I like the tension of that – the way the fictional story embraces facts. In any historical text there are ‘shadow’ people, unnamed in photographs or accounts – this is where my characters slip into the story. However, I wanted my fiction to be possible – none of it is so far fetched it couldn’t have happened. The events are exciting – there’s romance, danger, adventure, but they could have happened and they are based on factual events. The characters are also certain ‘types’ – you have Evie, the debutante party girl whose life was all fast cars, horses and adventure (very much part of ‘the beauty chorus’ as the fighter pilots called the girls. Then there’s Stella, who came to Britain from Asia to fly – she was typical of the girls escaping unhappy realities and seizing any chance of independence and the chance to fly. Megan is a teenager who has never left her beautiful, remote Welsh home – she can fly a plane but not drive a car (yes, there really were girls like this!). If you enjoy reading historical fiction, and are thinking of writing a novel in this genre, I can highly recommend it. It was an honour to work with some of the surviving veterans on the story, and sheer pleasure to really immerse myself in that time and place. Hopefully people will not see the joins in the world I’ve created. There are factual events and places, but the story is fiction at the end of the day, and I hope it both entertains and introduces people to a forgotten piece of history. It felt like a story that had to be told. Kate studied Philosophy at Durham University, and Art History at the Courtauld Institute of Art. She is currently taking a Masters degree. She worked as an art consultant, curating collections for palaces and embassies in Europe and the Middle East, and was elected a Fellow of the Royal Society of Arts. She was a finalist in UK ITV’s the People’s Author competition in 2009. 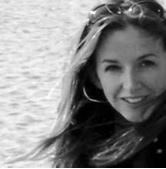 Her debut novel The Beauty Chorus is published by Atlantic in 2011. The Beauty Chorus (Corvus, Atlantic 2011) is part of Amazon’s Kindle Spring Spectacular and available at a huge 91% discount until May 2nd. - Preview The Beauty Chorus for free! *Ok, so Kate wrote the post, and I bolded my favorite lines, because I compulsively bold my favorite lines in all our posts. Great Post! I just finished another great YA historical fiction novel called Between Shades of Gray by Ruta Sepetys. It was really good. I highly recommend it! I'm so excited to see YA and MG historical fiction making a come back. Now that I've sold my own historical, I figured it was time to read up on the genre and bought myself a copy of THE ART AND CRAFT OF WRITING HISTORICAL FICTION. I haven't started yet, but I'm looking forward to approaching my next book with more direction. All the best to you in your debut year! You have a fabulous blog! I want to award you the Creative Blog Award for all the hard work you do! BTW, I am your newest follower. I invite you to follow me as we have a lot in common. My blog specialize in helping writers get published by learning from agents, editors and authors who I interview. Tomorrow, I am having a literary agent on my blog as a special guest. She has some great tips for authors. Meredith - Thanks for the recommendation! We'll have to check it out! Caroline and Deirdra - Replies via email! I Now Pronounce Thee Incorrectly ... Again. Where She Went Day Is Here! WINNER of Where She Went!